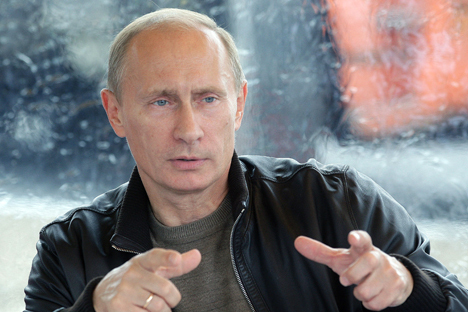 The Russian President tops the rating for the second year in a row. Barack Obama and Xi Jingping came second and third respectively. For the second year in a row, Russian President Vladimir Putin has topped the annual rating of the most powerful people in the world, according to U.S. publication Forbes Magazine, which posted the announcement on its official website. American President Barack Obama is in second place, while Chinese President Xi Jinping is in third. The top three has not changed since last year: One year ago the Russian leader also came in first, and his American and Chinese colleagues second and third, respectively. According to the magazine, the Russian leader also featured in the top three places in 2011 and 2012. In 2011 he came in second as Prime Minister and in 2012 was pushed into third place by German Chancellor Angela Merkel. At the beginning of last September, Forbes remarked that the Russian president's reputation would significantly strengthen, regardless of the outcome of the Ukrainian crisis. As for the American leader's rating, the magazine's journalists believe that the problem is not in Obama's personal qualities, but in the United States, which in the last 30-60 years has lost almost all its advantages in forming the global diplomatic agenda. "America has thrown away almost all the once vast leverage it enjoyed to set the global diplomatic agenda," writes the magazine. "In doing so, it acted in the name of an idealistic cause, globalism, but at the end of the day its idealism has not been reciprocated." In April, Time Magazine published a list of the 100 most influential people in the world. Vladimir Putin was the only Russian to make the rating. In December 2013 the British daily The Times named the Russian president Man of the Year.